Need some information? Have a look here! A lot of different activities happen within the ERCIS network. 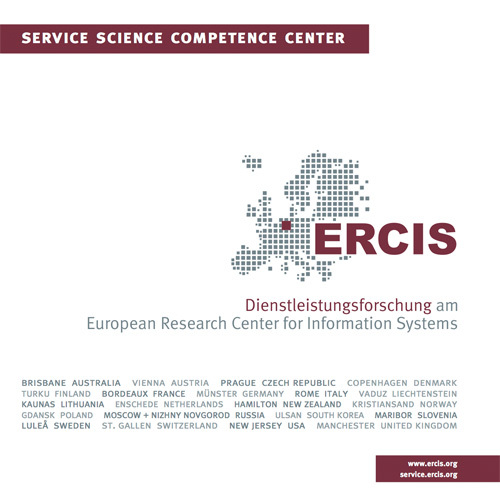 In order to give a compact overview of recent projects, publications, events etc., the ERCIS publishes an Annual Report. In addition to that, we have several other information materials like the brochure with general information about the network as well as target group-specific flyers.